What I wanted to title this blog was, "Enhancing Your Palette in Three Easy Steps", but really it only takes one. Alas. And the step is: attend one of our FREE, weekly, open to the public, cuppings at our Roastery (310 E. Pike). You will have the opportunity to learn our standard method for tasting and evaluating coffees, ask the Roaster and trainer questions about, roasting, processing, and growing methods (among other things), and you will meet other fellow travelers on the journey. For now: Wednesdays at 11 AM at the Roastery. 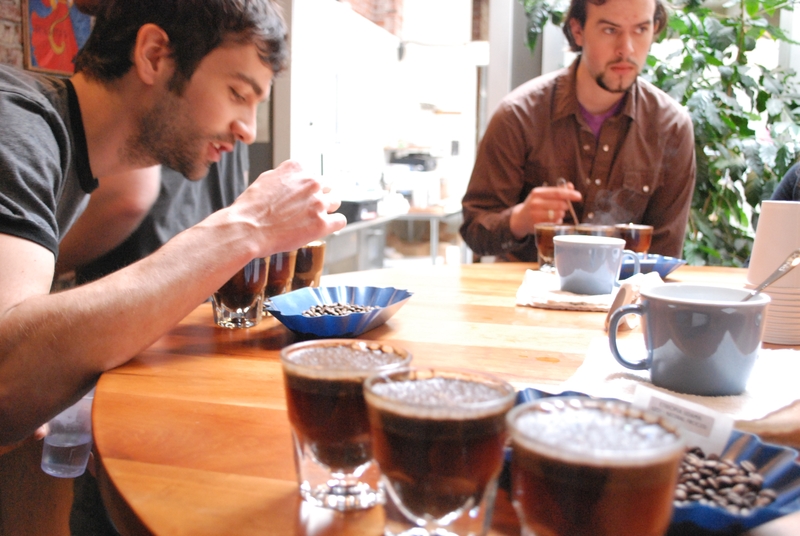 Coming soon: Regular cuppings at all three locations. If you would enjoy seeing more, check our our new Facebook photo album.